September usually means one thing to the West Indian in New York, CARNIVAL!!. While we will not be screening carnival films per se, we will be screening films from the land of carnival. This month is also the 10th Anniversary of the Trinidad & Tobago Film Festival, yet another reason to celebrate films from the twin islands. The films we will be screening – all shorts – represent a variety of genres and some of the best films coming out of T&T recently. Check them out. LUKE SINGH struggles to make ends meet working as a fisherman. Unable to provide for his sick grandmother, Luke is presented with an opportunity to make a lot of money, but the decision would come at a great cost. This film was recently released on Studio Anansi Tv. Philo, an expat detective turns to his previous partner Monique for help in solving a current high profile kidnapping case. But where this leads them is to the past, and an old rift between them regarding the disappearance of her brother, which Philo seeks to mend. A security guard who works the night shift finds himself stealing from the storage containers he should be guarding. His friend coerces him into taking something from his missing brother’s container, which leads to devilish complications. 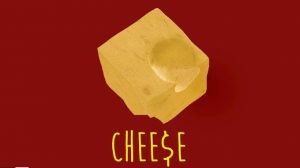 ‘CHEE$E’ – After news he’s gotten Rebecca pregnant, SKIMMA (Akil Williams) comes up with a plan – he embraces a new profession: the village pot supplier. It quickly becomes evident everyone wants what he’s selling — even local rastaman OIRIS (Lou Lyons) — Skimma is faced with making some money to provide for his new child and keeping his new enterprise out of the reach of the law. ‘CHEE$E’ is directed by Damian Marcano, a native of Trinidad & Tobago. Marcano’s previous work includes, ‘The Little Boy & The Ball’, ‘God Loves The Fighter’ and ‘GIANTS’. His work on the feature Award-Winning film “God Loves The Fighter” has racked up numerous prizes worldwide. ‘CHEE$E’ is a 10 episode season currently in production. As Marcano is in love with his local aesthetic, it is filmed on location, entirely in the Caribbean.